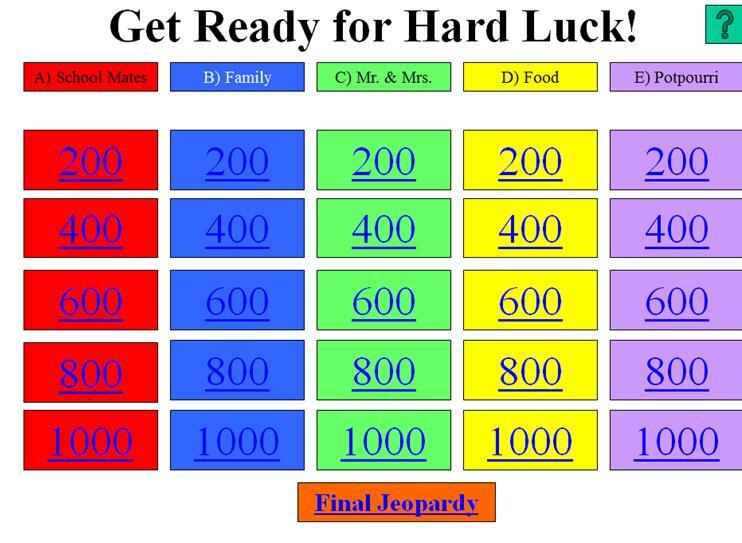 To celebrate the 8th Wimpy Kid book, I’ve made a Jeopardy game. You can place the kids in teams by the table they sit at and have them write down the answers, or you can have the children raise their hands and call on them individually (this can turn into a real mess if you have a lot of kids, though!). You can have them keep track of their score and tally them up before the Final Jeopardy question. 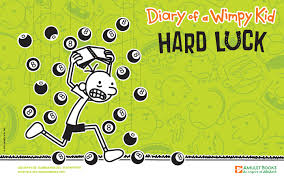 You can download the PowerPoint file here: Diary of a Wimpy Kid Hard Luck. For more after school ideas, check out Thrive Thursday. You can participate by adding your own after school program every week! This entry was posted on November 14, 2013 by mrsshaia in After School Library Programs, Thrive Thursday and tagged After School Library Programs, Thrive Thursday.